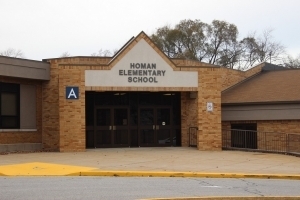 Welcome to Homan Elementary School, “Home of the Eagles!” Located on historic Joliet Street in Schererville, Indiana. Since 1866 students in Schererville have come through our doors, and as the town grew, so has our school. Homan was named after Joseph Homan in 1960 and was later added to the Lake Central School Corporation. The current building that you see today was constructed in 1991. The teachers and support personnel are ready to assist you and your child as you embark on the journey of learning. We hope you as parents will be positively involved in the many opportunities that present themselves each year to further the learning of the students. By working together, we increase the chances of success for all children. 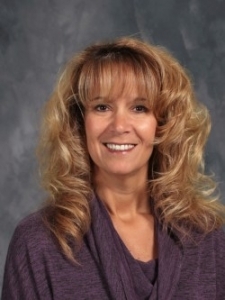 The staff of Homan School works to meet the educational, social, emotional, and physical needs of each individual. ● Each individual has dignity and worth. ● Students are our number one priority. ● People are responsible for their actions. ● Excellence will only be achieved through continuous improvement. ● People learn in different ways and at different rates. ● Teachers are critically important in every student’s education. ● Education is a responsibility shared by the students, staff, families, and the entire community. ● School provides a foundation for a lifetime of learning. ● A positive school environment is essential for learning. ● Educated and involved citizens are necessary to sustain a democratic society.